There are those things in music making that are just pure joy. There’s finding a particularly nice groove or pattern, or getting that really juicy synth or effect parameter to morph just so. And there’s getting to use all those toys and external gear you really love. So, while Maschine 2.6 is just a “point” release, I think it works out being one of the most welcome updates to come to Maschine’s loyal audience of groove makers yet. It gets at both these points. First, it inherits all the clever stuff added to Maschine Jam for adding variations and randomization and live improvisation. But now that works on any hardware, so if you prefer your 4×4 velocity-sensitive pads and don’t feel motivated to buy that new Jam grid hardware, you don’t have to. Second, it adds MIDI CC support for external gear – ’bout time – plus a whole bunch of external gear support right out of the box. MIDI CC support is very, very cool. When I wrote about Akai’s standalone MPC introduction, a lot of you replied that what you most liked about Maschine was actually its computer integration. Many, many readers like a software drum machine precisely because it lives on a computer, inside your DAW, with all of your plug-ins. 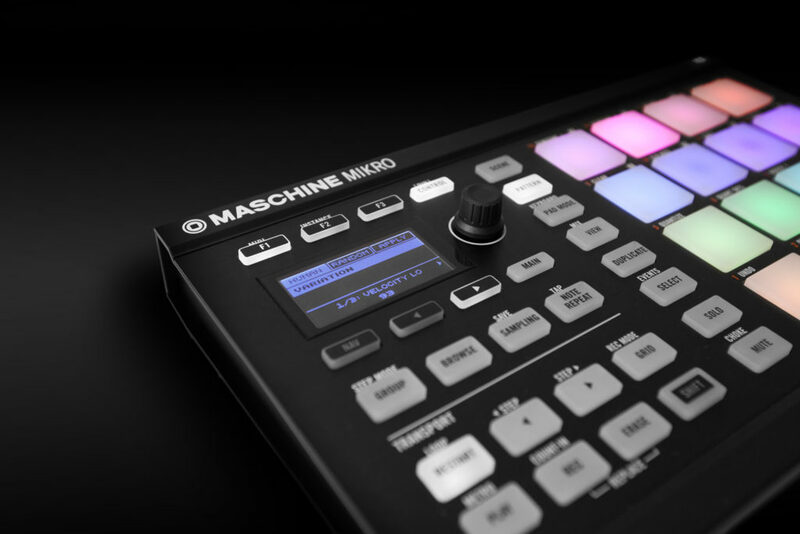 Now, Maschine starts to look just as appealing for its support for external gear. Being able to send MIDI Control Change messages for manipulating parameters on external gear is overdue. But Native Instruments have given us a nice present by including pre-mapped parameters. It’s really lovely to see some more obscure boutique stuff among the big three Japanese brands, no? And that means all of this hardware now behaves in your system as if it’s software, complete with parameter storage and recall and morphing. 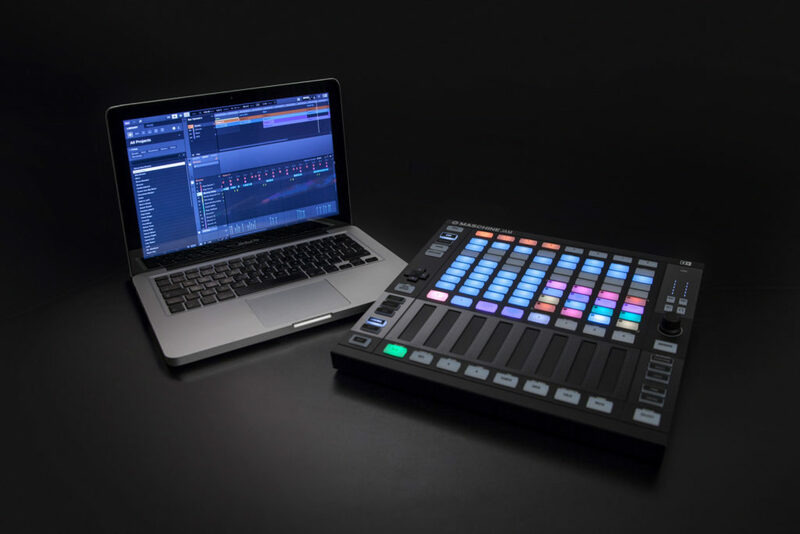 So this makes Maschine a really powerful hub for live performance, because it can be a home to all the presets for a string of different songs – and that’s a reason to take that computer onstage. The other features in 2.6 standardize a bunch of features across the whole product range – so features exclusive to Maschine Jam now work with all previously released Maschine hardware, and visa versa. Maschine Jam brought a lot of subtle but really powerful functionality for composition and improvisation. Now these work with Maschine MK1 and MK2, Maschine Studio, and Maschine mikro MK1 and MK2. Humanize and Randomize. The so-called “Variation Engine” now lets you automatically add more variety to percussion and melodic patterns programmatically – yeah, in case you aren’t really good enough at finger drumming, for instance. Lock and morph. “Lock” is an even more interesting feature. You can store snapshots of parameters and then recall them, or morph between them over a number of beats or bars. If you’re thinking this could be really cool when combined with all the MIDI CC stuff above — yeah, absolutely. Step support for notes, parameters. Maschine Jam is cool, but it was missing some significant functionality available when using other Maschine hardware. The step sequencer now has support for all note parameters (pitch, velocity, length, swing, and position), plus parameter access on each step (for plug-ins and other sound sources). Fixed velocities. You can now set velocities on an individual step using one of 16 fixed levels on a grid – especially handy on Jam since it lacks velocity-sensitive pads. Also, one subtle improvement for everyone: when you change scale, that setting will also be used for the next group. Maschine 2.6 is a free update for existing users; you’ll get it in Native Access now.